Here’s why you should be driving an EV this year. With several new models debuting for the 2019 model year offering extended operating ranges and affordable sticker prices, there has never been a better time to own an electric-powered vehicle. While they still account for a razor-thin percentage of all new-vehicle sales in the U.S., there’s still a compelling case to be made for consumers to consider a full-electric model as their next mode of transportation. 1. The selection has never been greater. A record number of electric cars and crossovers – 17 in all – are being offered in the U.S. for the 2019 model year, with sticker prices that start at a budget-minded $23,900 for the tiny Smart EQ ForTwo. A majority of them are priced in the $30,000 range, which is about the average cost of a new car. New models this year include the Audi e-tron and Jaguar i-Pace at the higher end of the pricing spectrum, and the more affordable Hyundai Kona Electric, Kia Niro Electric and the longer-range Nissan Leaf Plus. In addition, Tesla finally released the $35,000 entry-level version of its popular Model 3. What’s more, a fleet of new EVs is expected to reach the market for 2020, with some arriving by year’s end. These include a redesigned version of the Kia Soul EV, a new Mini Electric, and premium electrified rides from Aston Martin, Mercedes-Benz, Porsche, and Volvo’s Polestar brand. While availability of a few current models is still limited to California and perhaps one or more other states that share its strict vehicle emissions standards, more EVs are now being offered in all 50 states. 2. The latest models virtually eliminate range anxiety. While it was once a big deal for an EV to break the 100-mile barrier on a charge, eight EVs for the 2019 model year are able to run for more than 200 miles with a full battery. 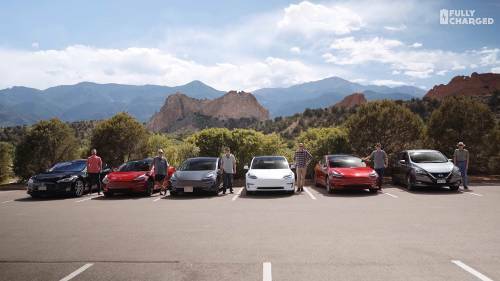 The Teslas lead the pack with its Models 3, S, and X topping out at near or above 300 miles per charging session. The more-affordable Hyundai Kona Electric and Kia Niro Electric offer capacities of 258 and 239 miles, respectively, while the Chevrolet Bolt EV is at 238 miles and the coming Nissan Leaf Plus is estimated to run for 226 miles on a full charge. 3. This could be your last chance to grab a tax break for buying an EV. The federal government is still offering qualifying electric car buyers a sizeable one-time tax credit that effectively reduces the cost of a new model by $7,500. But you may have to act fast to take advantage of it. For its part, the White House wants to have the tax credit repealed, and bills were introduced in Congress last year that would either extend the federal tax credits for all automakers for a set number of years or eliminate them altogether. Even if the tax credit remains on the books, it’s scheduled to phase out in two stages during the calendar year after an automaker sells its 200,000th battery-dependent vehicle, including EVs and plug-in hybrids. Tesla was the first manufacturer to hit that mark last year, which means its federal tax break dropped to $3,750 on January 1, will fall to $1,875 on July 1, and will expire altogether on December 31. General Motors also reached 200,000 EV sales last year, and its EV credits are set to phase out beginning on April 1. Fortunately a number of states still offer their own incentives to EV buyers. 4. EV resale values are rising. Traditionally, electric cars have suffered below-average resale values. 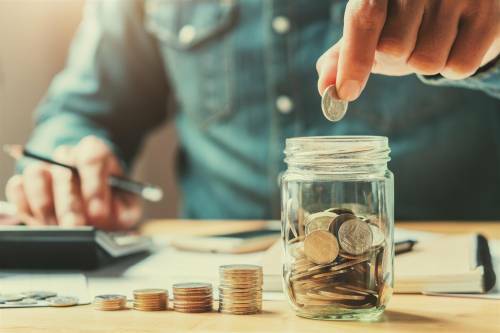 This is due in part to the aforementioned $7,500 federal tax credit effectively cutting their transaction prices and older models having shorter operating ranges than newer ones. But that’s changing. Models like the Chevrolet Bolt EV, the Tesla Model 3, S and X, Jaguar I-Pace and Audi e-tron that can run for 200 or more miles at a time are expected to maintain much stronger three-year resale values. At the top of the list, Kelley Blue Book predicts the Tesla Model 3 will hold onto an impressive 64.3% of its value after 36 months. 5. Electricity is still cheaper than gasoline. Even with gas prices remaining relatively affordable, it’s still cheaper to keep an electric car running. For example, the Environmental Protection Agency says the Hyundai Ioniq Electric, which is rated at the electric equivalent of 136 mpg in combined city/highway driving, will cost an owner $500 a year to run for 15,000 miles, based on average power rates. 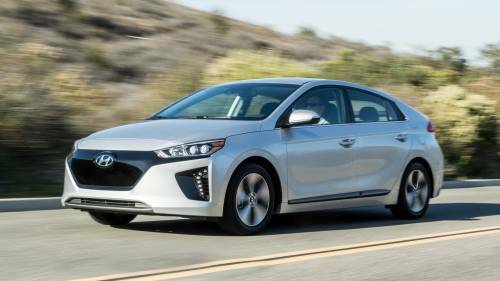 The EPA estimates an Ioniq Electric owner will spend $4,250 less in fuel costs over a five-year period than will someone driving an average vehicle the same distance. And by not having to make weekly trips to the gas station, an EV owner can further save cash by avoiding impulse purchases for things like drinks, snacks, and lottery tickets. 6. Public charging stations are becoming more common. According to the latest Department of Energy estimates, there are nearly 21,000 public EV charging stations up and running across the U.S. While that figure has doubled over the last couple of years, they’re still relatively rare compared to gas stations. Still, depending on where you live you’ll find them in public parking garages at airports, office buildings and hospitals and in many retailers’ and shopping mall parking lots. Most prevalent are 240-volt Level 2 chargers that can fully restore an EV battery in around four hours, depending on the model. A rarer, but quicker alternative is to use a Level 3 DC Fast Charger that can replenish a vehicle’s battery to 80% capacity in as little as 30 minutes..
7. Maintenance costs are lower than with a conventionally powered vehicle. 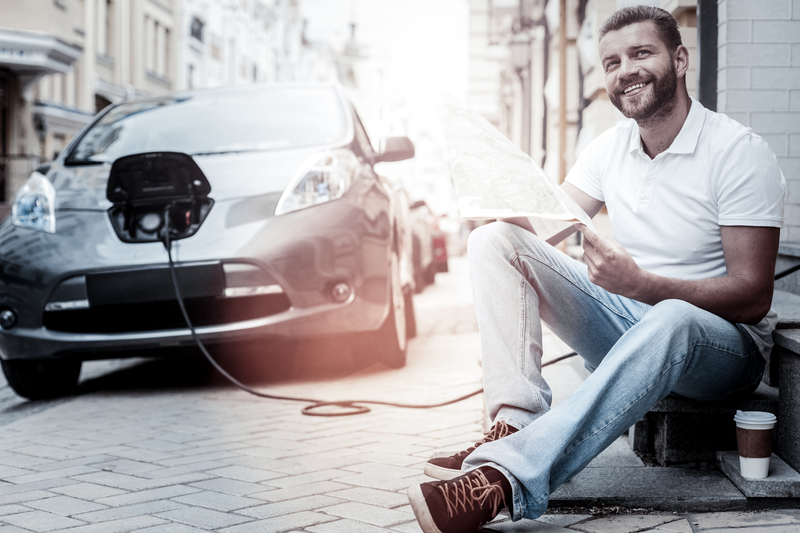 Owning an electric car means never having to take the vehicle in for oil changes and tune-ups, and there are far fewer moving parts that would eventually fail and need replacing. 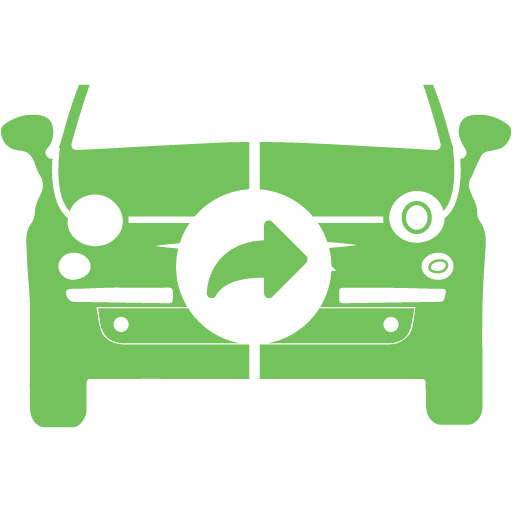 EVs use a simple one-speed transmission and eschew wear-and-tear items like spark plugs, valves, muffler/tailpipe, distributor, starter, clutch, drive belts, hoses, and a catalytic converter. Regular service visits are typically limited to rotating the tires and checking brake pads and other components. 8. EVs create zero tailpipe emissions. Unlike an internal combustion engine, an electric motor avoids spewing smog-forming pollutants and greenhouse gases into the atmosphere. However, as critics are quick to point out, an EV’s overall effect on the environment depends on the local source of electricity. Their net effect tends to be lowest in California, New York, and the Pacific Northwest, where renewable energy resources are prevalent, and less so in central U.S. states like Colorado, Kansas and Missouri where fossil-fueled electric plants are most common. Still, a recent study conducted by the Union of Concerned Scientists concluded that EVs are generally responsible for less pollution than conventional vehicles in all 50 states. 9. You can go solar and generate your own power. Arguably the greenest way to go when it comes to keeping an EV charged is to generate the electricity at home via solar panels mounted on the garage roof. Unfortunately this can cost upwards of $7,000 per installation. And that doesn't include having a storage battery installed to capture power during daylight hours for overnight charging, which could double the cost. It’s more cost-effective if you take the financial plunge and convert both your house and garage to solar power. While this could set you back $20,000 or more, a federal tax credit will cover 30% of the cost, and some states offer additional incentives to go solar. Unfortunately, the federal credit is scheduled to drop to 26 percent in 2020, 22 percent in 2021, and will be discontinued altogether in 2022. 10. Used EVs are cheap. Though resale values are on the rise for some of the latest longer-range models, used versions of many EVs remain bargain priced. A quick search of the Cars for Sale section of MYEV.com produced no fewer than 65 listings going for $10,000 or less. We spotted a 2011 Nissan Leaf with 57,670 miles on the odometer and a 73-mile range for just $5,500, while a 2012 Mitsubishi i-MiEV with 42,186 miles on the clock and a 62-mile range was listed at $5,900. While those distances on a charge have since been far eclipsed, at those prices a used EV would make a great second or third car in a family’s fleet for emissions- and gasoline-free around town use or for teen drivers (an instance in which a limited range can keep them close to home). An older EV could provide an affordable way to get to and from a commuter rail station for those living in the distant suburbs and working in the city. 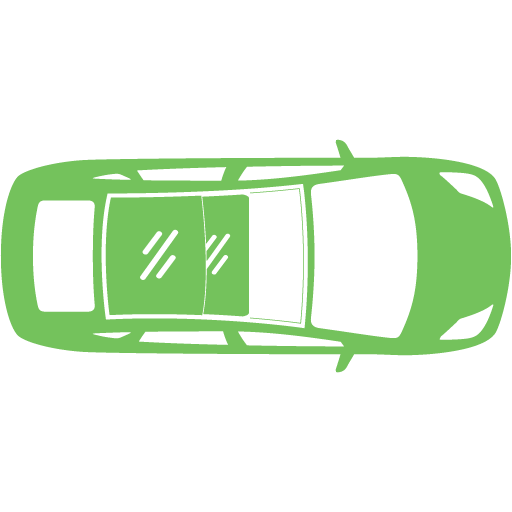 Not only is MYEV.com a great online marketplace for those shopping for a used electric car, with comprehensive information and multiple images for each model, it’s also a top destination for sellers, with 100% free listings. 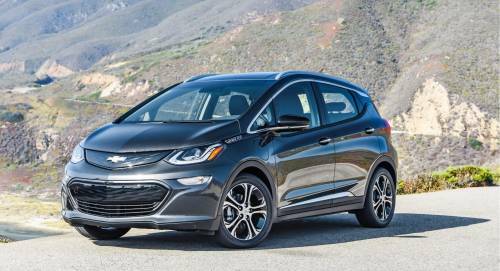 2017 Chevrolet Bolt | Why Buy? What’s Next For Federal EV Tax Credits?